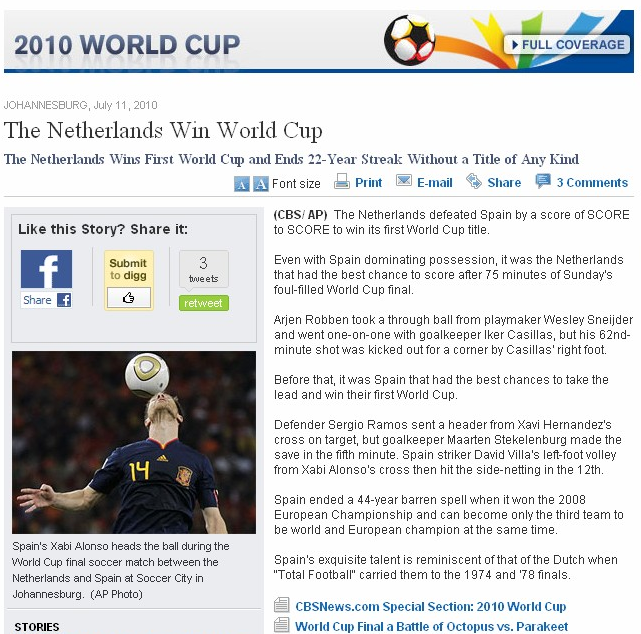 CBS rewrites history: Netherlands win the World Cup. Although Spain won the World Cup yesterday, CBS News is rewriting history with this holding article which is still live. Being a Netherlands-based business, The Next Web wholly supports this alternative outcome! Read next: Facebook gets a 'panic button'. Here's how it works.